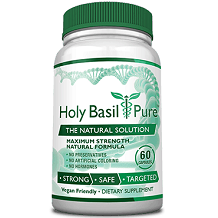 Holy basil has a primary active ingredient called ursolic acid that is said to improve the body’s response to stress. Ursolic acid works by blocking a hormone called cortisol. When we start to become stressed, our brains produce this hormone. Ursolic acid blocks the mechanisms that produce this damaging stress hormone ad gives your brain the boost it needs to deal with stress. 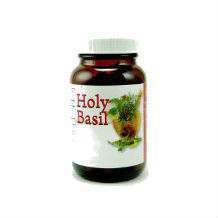 By taking holy basil, you are reducing the existing cortisol levels as well as preventing more from being produced. The manufacturer recommends taking 2-4 capsules once a day as needed or as recommended by your health care provider. At the time of writing this review this product was found at a price of $17.98 for a bottle of 100 capsules, which under the suggested use should last about 25 days. When researching this product, the manufacturer states that you can return the product but they do not provide any detail concerning the conditions. There are a lot of great stress relief treatment products on the market and this product would not stand out since it does not offer a guarantee and it is not FDA approved.